When I entertain, I love putting all my efforts into a well thought out menu along with paired drinks. The decor and ambiance tend to come second because the way I see it, it's all about making sure my guests leave well fed and with a memorable experience. 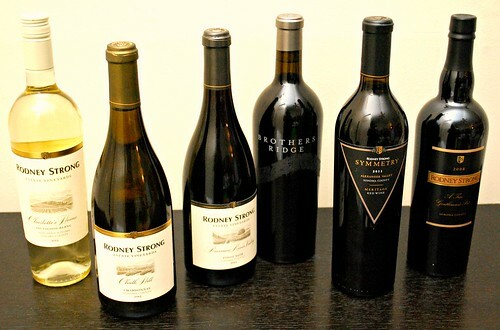 I recently hosted a special dinner in honor of Rodney Strong Vineyards. 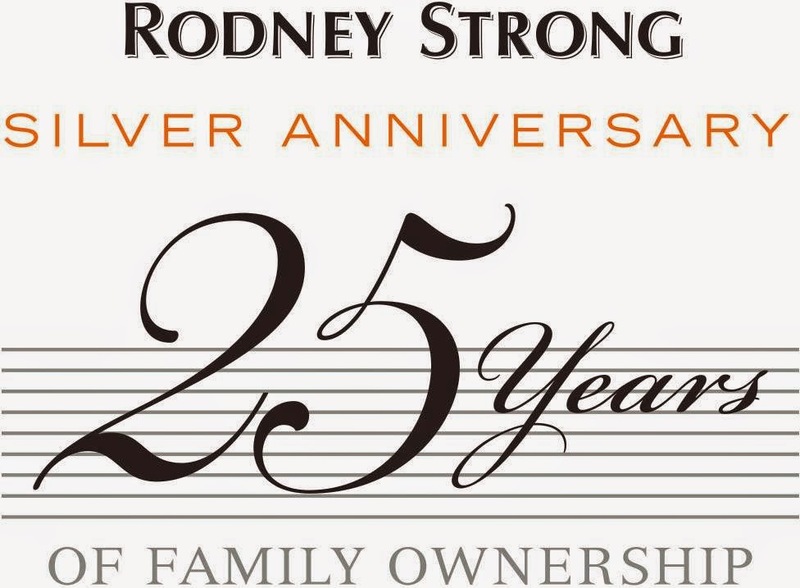 The Klein family have owned the Rodney Strong Vineyards brand for 25 years so what better way to celebrate their Silver Anniversary than with a wonderful spread food and wine?! 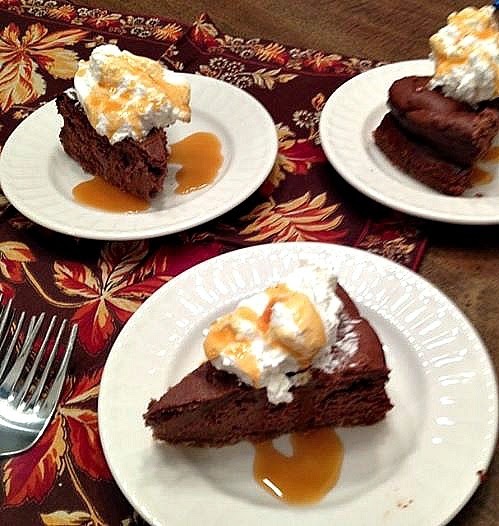 In fact, I was not alone in celebrating... others all around the country were celebrating simultaneously on September 20, 2014, including top chefs preparing elaborate meals, fellow food and wine bloggers and all the fans of Rodney Strong Vineyards. Wine Tasting Notes: Light, crisp, and highly aromatic, the warmer climate Alexander Valley fruit gives this wine ripe peach, tangerine, and pineapple character, while the ocean cooled Russian River Valley fruit offers citrus, lemon grass, and slightly herbaceous qualities. Together, the two valleys make a classic Sonoma County Sauvignon Blanc that is fresh, lively, and will drink beautifully over the next 1 to 2 years. To kick off my dinner, I wanted to start with lighter bodied wines and progress to more robust wines, just as my menu does with the varied flavors. For my first course, I prepared a simple lump crab stuffed mushroom. We loved how delicious the wine paired with the delicate crab. The wine really accentuated the crab nicely and I love the way the citrus notes made for a bright and light start to the meal. This wine is especially good with seafood and the crab stuffed mushrooms was a perfect pairing! Wine Tasting Notes: Barrel fermentation in new and seasoned French oak added toasty vanilla and spice complexities. During the eleven months of barrel aging, we regularly stirred the “lees” in barrel, and later in tank, which imparts an elegant fullness and creamy texture on the palate. In the glass, the wine is both creamy and crisp, with golden delicious yellow apple, baked pie spices and a hint of minerality on the long finish. Enjoy over the next one to three years with lobster, herb crusted halibut with a minted sweet pea purée or grilled veal chops with sautéed mushrooms. The second course also featured seafood and this time, scallops. To add some flair, I served the jumbo scallops with a sesame ginger vinaigrette just to add a touch of acidity. This really worked nicely with the chardonnay. The wine picked up on the buttery scallops with a hint of sweetness that did well under the sesame ginger vinaigrette. Wine Tasting Notes: Soft and silky, with intriguing rose petal and crushed pomegranate aromas, this medium bodied wine was aged for 10 months in small French oak barrels, which added a hint of toasty vanilla and spice complexity. Ideal for current enjoyment, this Pinot Noir will age nicely over the next two to four years. Wine Tasting Notes: Chocolate and black fruit profile, with exceptional richness. For the main course, I wanted to give my guests a choice on wines to pair them with. These two wines - the Russian River Valley Pinot Noir and Brothers Ridge Cabernet Sauvignon - played up against the flavorful rub I used on the prime rib roast. These reds work well with hearty meat and they certainly didn't disappoint. It was a split tie between which wine folks favored with the entree course! Wine Tasting Notes: The 2011 Symmetry greets you with an opulent bouquet of blackberries, cassis, and sweet spices. It unfolds on the palate with layers of black fruits, dark chocolate and spice. This mouth-filling wine is rich and silky in texture with a long, lingering finish and the structure for several years in the cellar. Intended to be enjoyable on release, the 2011 Symmetry is destined for evolution in the bottle. After the heavy appetizers and entree, I wanted to change the pace and lighten up the meal with a cheese course. Blue cheese is a favorite of ours and I knew they would work deliciously with the Red Meritage wine. With the deep fruity notes of the wine, there was no need to offer fresh fruits. And the creamy blue cheese was a perfect pairing once again. Wine Tasting Notes: In the “Port” wines of Portugal, there is a legally defined set of allowable grape varieties that reflects the long tradition of the region. Here in Sonoma County we believe that the best grapes for making Port styled wines are those that have great fruit flavor, a fine depth of character, and excellent color. For this release we have chosen primarily Zinfandel and Touriga (the most important Port grape in Portugal), with lesser amounts of Petite Sirah, Syrah, and Malbec. The combination of these varietals, from five of our best vineyards, results in a wine with balanced sweetness, powerful flavors, and an unctuous texture that glides on the palate, and lingers. Because of its sweet and special nature, Port is generally considered a dessert wine. It can easily be enjoyed by itself, or with a selection of cheeses, nuts, or even dark chocolate. Lastly, I knew a good chocolate dessert would serve as the perfect ending to our five course dinner. With port to accompany dessert, I made the salted caramel chocolate cheese. A combination of sweet and salty was exactly the flavor this port wine complimented. Everyone enjoyed the finish of the wine and dinner... so it wasa delicious success! Thank you to the folks of Rodney Strong Vineyards for allowing me to celebrate the special day with dinner and wine. I wish you another 25 years of wonderful wine making with many more to follow! Looks like a great meal! Lots of good sounding food!